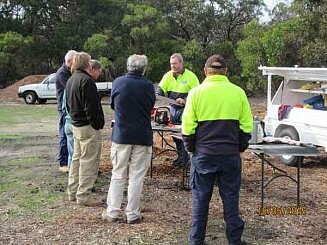 Our Chainsaw Safety Awareness Course covers the required knowledge & skills for the safe operation of Chainsaws. 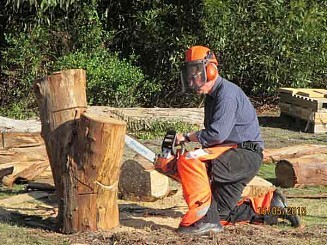 This course is suitable for people who do not necessarily require a national ticket, but do, or would like, training in the safe operation of Chainsaws. Participants must be 16 years or over to attend this course. Participants must be competent in written and spoken English (Student are required to undertake a Language, Literacy, and Numeracy test prior to commencing the training). Participants are recommended (but not compulsory) to hold a First Aid certificate (minimum of Level 2) if using a chainsaw. Participants must be physically capable of operating a chainsaw. Participants must be able to physically kneel on the ground & get back up again. Please note: This is a basic Chainsaw Safety Awareness Course. 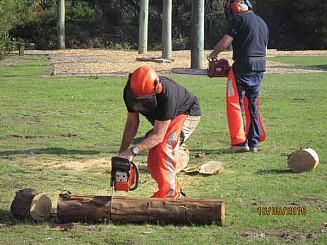 If you would like a more in-depth course, please check out our nationally recognised 3-day Chainsaw course. 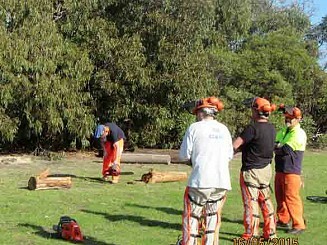 Information on this course is listed on our Chainsaw Course page. There is no pre-course reading for this course. 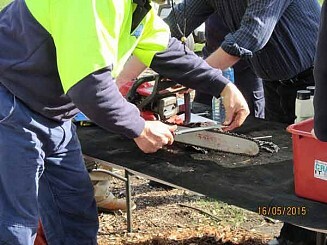 Participants are not required to complete a written assessment for this Chainsaw course, however they will be asked questions throughout the course to indicate that they have the required understanding to safely operate a chainsaw. 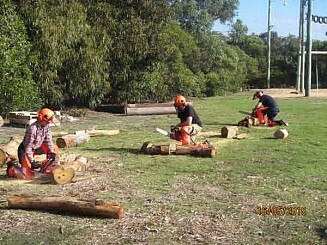 Participants are required to complete practical tasks operating a Chainsaw. On successful completion of these assessments, participants will be issued a Certificate of Completion. Participants have the option of purchasing a photo ID Operator Competency Card for an extra $20. The industry standard for chainsaw ticket currency is three (3) years. This means that every three (3) years, you need to be re-assessed and re-issued with a chainsaw ticket. Although this course is not an accredited qualification, it is recommended that the three (3) year industry standard is adhered to for this course. Participants are recommended to bring their First Aid certificate, if they have one. Participants who would like to bring their own Chainsaw to use, must also bring their Operator's Manual for their Chainsaw, combination tool, petrol, bar oil, 2-stroke oil, spare chain, cleaning gear, 2 x wedges, round file, & rags.